From Deer Valley, drive S on 78th Ave, to the 2nd entrance on the left. 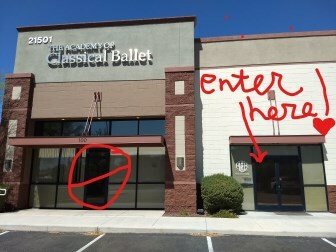 Academy of Classical Ballet is in the North parking lot and use the 2nd set of doors from the end (not directly under the signage). See picture.